In a change of plans, Shoals will join stablemate Santa Ana Lane in the Premiere Stakes as a final lead-up to The Everest. Trainer Anthony Freedman has opted to send the triple Group One winning mare to Sydney for the Premiere on September 29 rather than run her in the Moir Stakes at Moonee Valley the night before. She will continue her preparations in a barrier trial at Cranbourne on Monday while Santa Ana Lane pleased the trainer in a jump-out at Flemington on Friday. "They are both going to head to the Premiere now," Freedman's son and assistant trainer, Sam Freedman, said. "We just felt the 5 f would be too sharp for Shoals in the Moir so we'll get her up there to the 1200 at Randwick. "They were just too quick for her in the McEwen and they broke the track record. "She ran up to where we thought she would and ran home strongly. "The Everest is probably going to be like nearly a 1300 or 7 f race by the pace that it's going to be run so she's probably better off having that extra fitness under her belt." 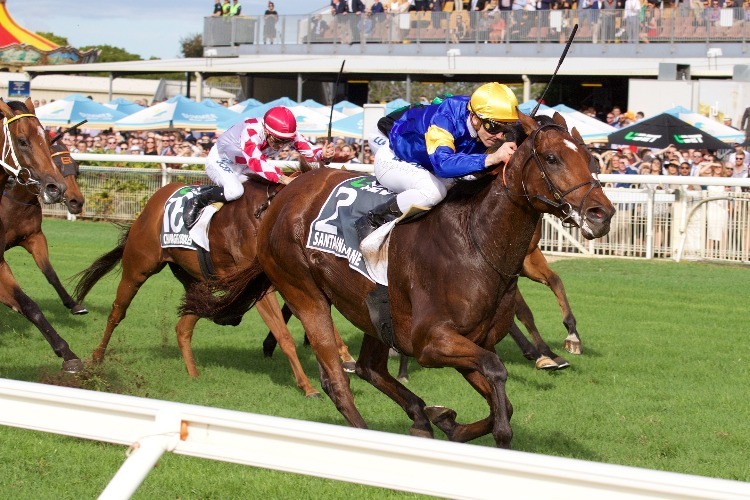 The Darren Weir -trained Nature Strip won the McEwen Stakes (1000m) at Moonee Valley in track record time and is scheduled to run in the Moir before The Everest. Freedman said Santa Ana Lane and Shoals were exactly where they needed them to be four weeks out from their main target. Santa Ana Lane, who like Shoals won three Group One races last season, ran home strongly under 132lbs for fifth in The Heath won by Ball Of Muscle. "Santa is going along really nicely and the form is good out of that race with a couple of winners on Saturday," Freedman said. "Shoals had a good blow after the McEwen so she'll have a strong trial on Monday and a couple of good gallops before her next start and she'll be tip-top for The Everest."